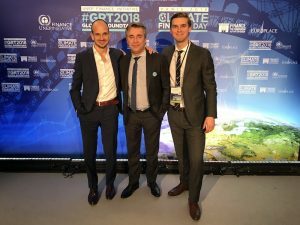 The co-founders of Active Asset Allocation, Olivier Hiezely and Adina Grigoriu have decided to take sustainable finance one step further by participating for the first time to a challenge exclusively dedicated to projects allowing to speed up the funding of ecological and energy transition : the challenge FinTech for Tomorrow powered by Finance for Tomorrow. The project presented, Strategic Climate-related Asset Allocation/SCAA – made it to the finals. 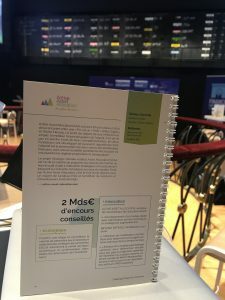 Created with the aim to offer market players a new tool for strategic asset allocation integrating climatic constraints, this tool was developed by Active Asset Allocation, in partnership with the financial rating agency Beyond Ratings and thanks to the ambitious goals of several sponsors and institutional clients. + Ecological by allowing institutional investors to integrate ESG constraints, and more specifically climate constraints in a systemic way, and systematically across all aspects of the investment. ◊ Use of stochastic models to determine optimal carbon budgets depending on the period and country. ◊ Use of sectoral parametric models to determine country by country the optimal carbon budget allocation taking into account MACC (Marginal Abatement Cost Curves), asset and sectoral capital expenditure allocations. 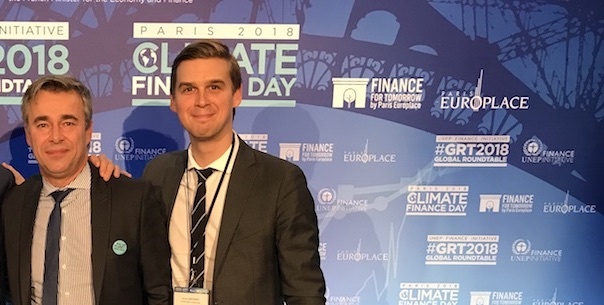 Thanks to this challenge, on the 28th of November, Active Asset Allocation’s team had the opportunity to take part in a major event for green finance, Climate Finance Day. 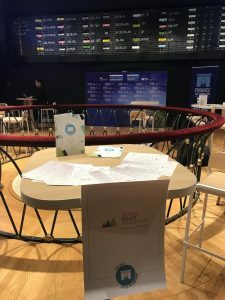 With a company booth in the basket area of the notorious Palais Brongniart in Paris, the team was able to meet and greet green finance stakeholders as well as the winner of the challenge : the insurtech Descartes Underwriting !